New wares from Petit Collage - and grab a discount! New wares from Petit Collage – and grab a discount! When it comes to children’s prints and decor items I can’t go past Petit Collage – and it’s not just so I can say their name with a dripping French accent, though I won’t deny that’s fun. I’m not alone lusting after all things Petit Collage as we’ve featured them many times here at Babyology and now I’m delighted to sing their praises once more with the arrival of more gorgeous products! 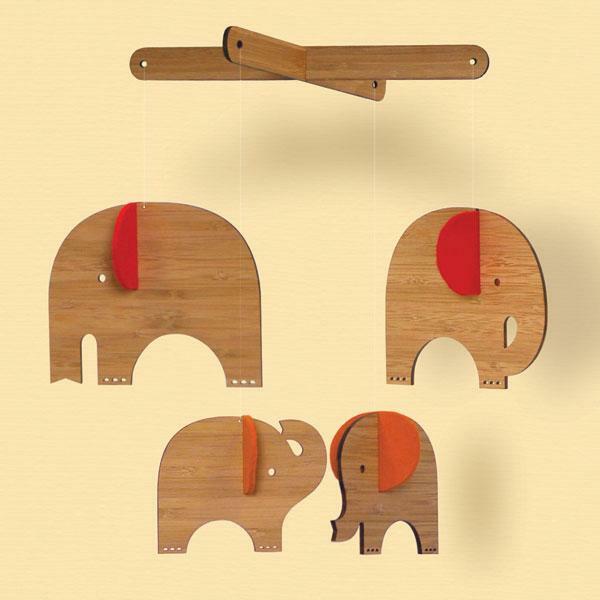 New to their collection of bamboo mobiles is the darling Elephant Deluxe version. Four bamboo elephants adorned with cheerfully bright wool felt ears in red or blue. For US$66, it comes fully assembled – all you have to do is unpack it and hang it. I love the mobiles but my heart belongs to the Alphabet Posters and I absolutely adore the new Dress Up ABCs print pictured above. There’s also a Transportation ABCs print filled with automobiles and all things moving. 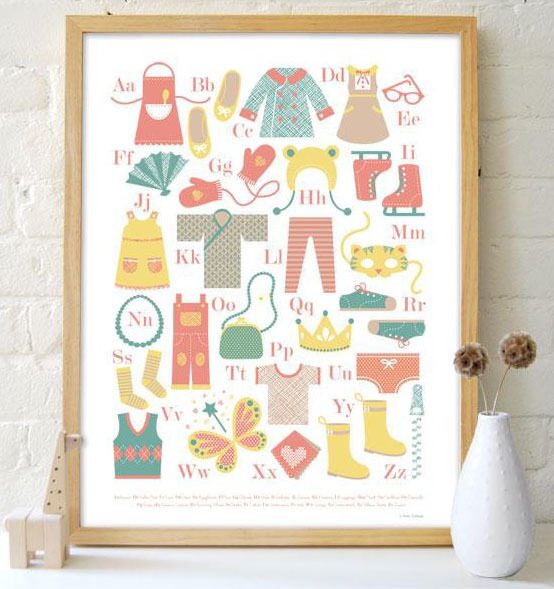 All alphabet posters are printed using soy inks on recycled paper and are available framed or unframed from US$30. Here’s a fabulous excuse for snapping up an alphabet print super quick, just choose any one of the eight designs available and use the code “happyspring” to claim a thirty percent discount. The code expires on 21 April 2011 so be quick! Bamboo Mobiles and Alphabet Posters are both available from Petit Collage. International delivery to Australia is no hassle either.